Steak at The Ox – treat yourself. As much as I’m far from being just a meat and potatoes sort of gal, it has to be said that one of the most luxurious ways to spend an evening is with a good steak and a large glass of red wine. I’ve said before that my ideal steak is the thickness of my wrist and the size of my face, but I’d like to think that in recent times I’ve come to appreciate quality over quantity with my meat. Probably. There is now an abundance of fantastic steak restaurants across Bristol, all offering high quality fare at different price points. Here is my guide to the best ones I’ve found so far, along with some of the best deals they have to offer – feel free to tell me about other great steaks you’ve had, or even your top recipes for a steak dinner at home! Steak at The Cowshed; proper job. A long time favourite of many Bristolians, this steak restaurant has gone from strength to strength in recent years, not only expanding its Whiteladies Road premises, but also opening a restaurant in Bath in the summer of 2014. The menu has a good selection of starters and alternative mains, as well as the usual cuts of steak. The surf ‘n’ turf choices are a nice touch (choose from scallops, king prawn or crab leg! ), as is the ‘steak on stone’, which allows you to cook your steak yourself on a lava rock heated to over 400 degrees – one way to give a romantic meal something extra! Top Deal: Their Early Bird Menu, from 18:00-18:30 Mon-Thurs – £10 for rump steak, chips and either a glass of wine or a pint of lager. After opening several branches across the UK, Cau is now bringing the Argentinian steakhouse vibe to the lucky folk of Bristol. Regular steak cuts sit alongside speciality dishes on their extensive menu, including ‘Tira de Ancho’ (rib eye marinated in chimichurri) and Asado de Chorizo (sirloin marinated in smoked paprika, chilli flakes, garlic and parsley), with their roast dinners and small plates also coming in for a lot of praise. Top Deal: No regular deals or early bird menu, but they frequently post offers on their social media sites which are worth looking out for. Bringing a touch of eccentricity to the steakhouse scene, this restaurant aims to not only celebrate good quality food and drink, but also showcase some diverse art too. Most of the paintings on the wall are for sale, many of the tables are also artworks themselves, and the restaurant welcomes performance art and events throughout the year. The food is still the priority here though, with ingredients thoughtfully sourced, and a good range of dishes, sauces and sides. Top Deal: Their Menu Rapide, from 12-6pm Mon-Sat – £9.95 for a selection of dishes and a drink, including steak and chips (wine or beer is a £2 supplement). They also do frequent Wriggle deals, so it’s worth keeping an eye to their app too for any last minute bargains! 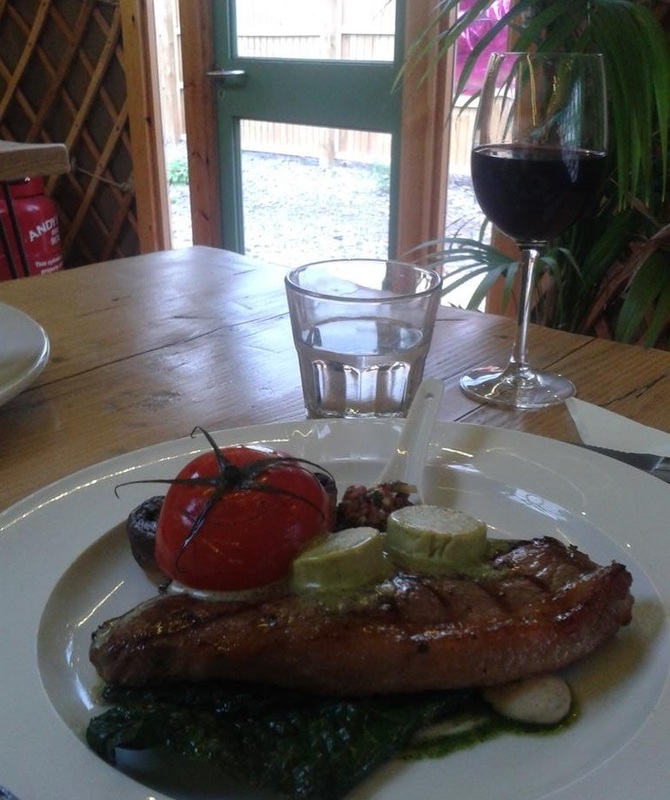 The steak deal at Yurt Lush – a tasty bargain. 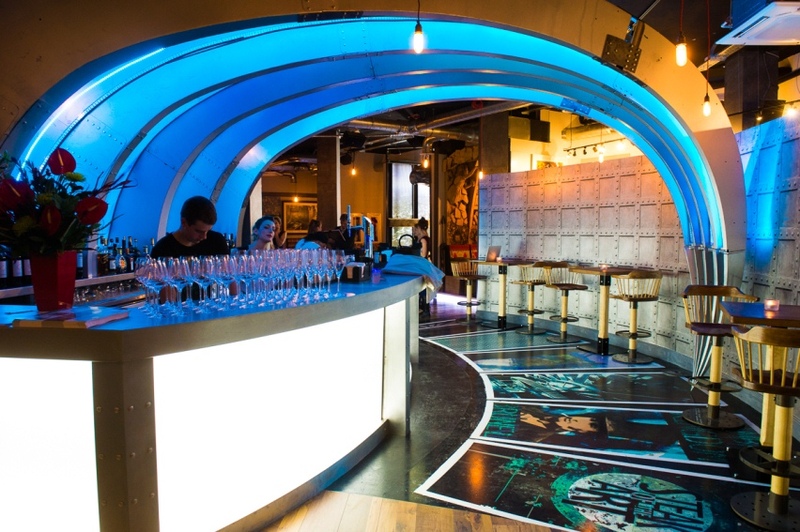 Situated in the oasis of calm that is Creative Common, among the glass-fronted office buildings of Temple Quay, Yurt Lush is a cute and quirky bar from the same team behind Eat Drink Bristol Fashion. Their meat is sourced from organic collective The Story, with their vegetables coming from sustainable farms in Chew Valley. The menu usually consists of smaller plates, breakfasts and salads, but every Wednesday is Steak Night, which gives their premium meat and other ingredients a real chance to shine, and at a bargain price too. Top Deal: The steak offer every Wednesday evening is nothing short of a steal – £12.50 for steak, triple cooked chips, salad, mushrooms and a glass of wine. The first and last word for luxurious dining in Bristol, The Ox occupies an unassuming spot in the vaults underneath the Wetherspoons on Corn Street, but as soon as you step inside you’re welcomed into an opulent underground haven, where you’re just as likely to be seduced by the decor as you are the excellent food and wonderful drinks list. The steaks here are incredible, with the sides and starter dishes also of a very high standard (I am still thinking about the pigs trotters on toast now, unbelievably). If you want to feel incredibly special for an evening, this is the place to go. They’ve also just opened a second restaurant on Whiteladies Road if you don’t fancy the walk into town! Top Deal: The Early Bird Special, from 5-7pm Tues-Sat – £12.50 for a 6oz rump steak, fries, sauce and a glass of house wine. The BYO deal on Tuesdays is also a good money saver – £5 corkage for you to bring your own bottle of wine. As well as having an impeccable bar selection and one of the cosiest sofas in Bristol, The Rummer is also making a name for itself for its top notch food. Wednesdays play host to Steak Night alongside their usual evening menu, and you can choose between an 8oz Sirloin or 8oz Ribeye, Pork T-Bone or Cauliflower steak, then add sides (among the usual suspects of chips or onion rings you can also choose from crayfish tails or chilli button mushrooms) and sauces (again a bit different, with balsamic & paprika or anchovy & cheddar being our favourites) to make a truly indulgent plate of food. Top Deal: No special offers here, but you can get a sirloin steak with a side and sauce for around the £20 mark, which is fairly decent for the quality and portion size. In recent years, Bath Ales has branched out from running pubs into opening a series of restaurants across the South West; their Graze steakhouses have been particularly successful, with branches now open in Bristol, Bath and Cirencester. Choose from sirloin, rib eye or flat iron cuts; or the sharing options of a 450g chateaubriand or 500g côte de boeuf (sharing steaks require 48hrs notice). 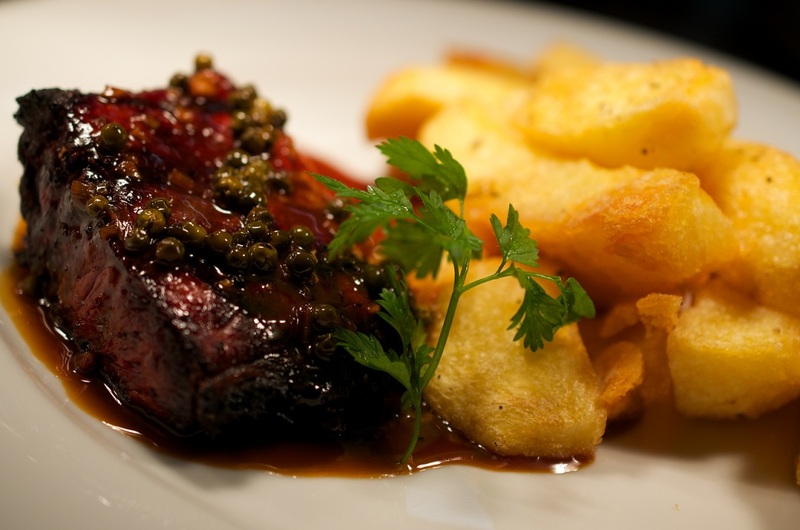 Top Deal: Their Steak and Wine offer, 12-7pm Mon-Thurs – £15 for sirloin steak, chips & sauce with a drink. Mondays are also their BYO day, where you can bring your own bottle of wine for £5 corkage. 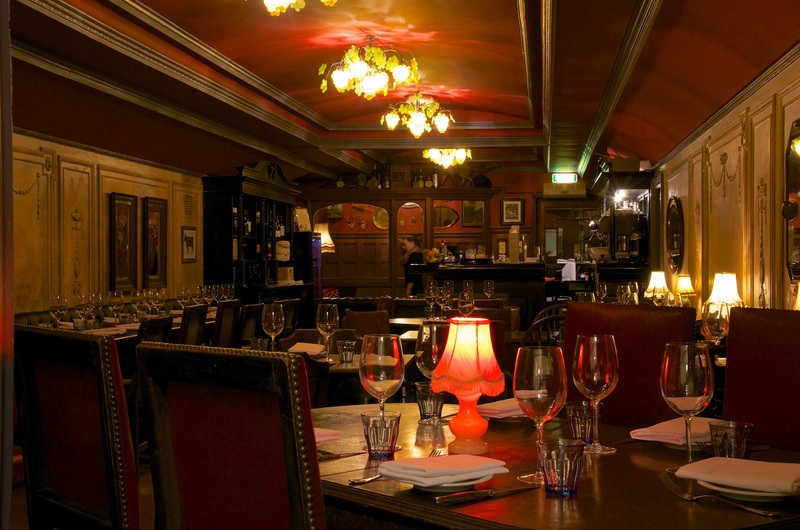 As well as the great steak restaurants listed above, there are numerous other locations around town which are well known for their steak, so also have a gander at the menus of The Famous Royal Navy Volunteer and Hotel du Vin in the centre. Happy steak feasting, meat lovers!